Ogunquit Performing Arts Presents Two Spectacular Pianists! Ogunquit Performing Arts celebrates its 12th Annual Elizabeth Dunaway Burnham Piano Festival by bringing two of the world’s best pianists to Ogunquit. This year’s festival features the music of the master composers of Austria, Germany and France, as performed by two internationally renowned artists: New York’s Sachiko Kato and Boston’s Victor Rosenbaum. Champagne receptions to meet the artists follow the performances. On Friday, October 5th at 7:30 pm, Victor Rosenbaum opens the Festival with a program featuring the music of Brahms, Heiss, and Schubert. Mr. Rosenbaum has concertized widely as soloist and chamber music performer in the United States, Europe, Asia, Israel, and Russia in such prestigious halls as Tully Hall in New York and the Hermitage in St. Petersburg, Russia. On Friday, October 12th at 7:30 pm, Sachiko Kato performs works by Debussy and Ravel. Known for her expressive and gorgeous tone, Ms. Kato is a classical pianist whose interest ranges from Bach to the contemporary. She has performed throughout the United States and her native Japan, as well as in Canada and Brazil. Her current projects include a recording of the Brahms’s late piano works released in early 2017. On Sunday, October 7th, at 3 pm, the “middle Sunday” of the Festival, OPA’s Student Piano Recital showcases the area’s best young pianists. It is here that talented local students have the opportunity to perform on OPA’s fabled Concert Model C Steinway grand piano before a live audience. Admission to this performance is free. The Festival honors the memory of Elizabeth Dunaway Burnham, founder and first chairperson of Ogunquit Performing Arts. A pianist herself, Betty saw to it that OPA acquired its splendid Steinway. Acclaimed pianist Victor Rosenbaum opens the Ogunquit Performing Arts 12th Annual Piano Festival on Friday, Oct 5th at 7:30 pm at the Dunaway Center, 23 School Street, Ogunquit, with a program of Brahms and Schubert. VICTOR ROSENBAUM is described by the Boston Globe as “one of those artists who make up for all the drudgery the habitual concertgoer endures in the hopes of finding the real, right thing,” Rosenbaum has collaborated with such artists as Leonard Rose, Paul Katz, Arnold Steinhardt, Robert Mann, Joseph Silverstein, Malcolm Lowe, and the Brentano, Borromeo, and Cleveland String Quartets, among others. Festival appearances have included Tanglewood, the Rockport Chamber Music Festival, Kfar Blum and Tel Hai (in Israel), Yellow Barn, Kneisel Hall (Blue Hill), Musicorda, Masters de Pontlevoy (France), the Heifetz Institute, the International Keyboard Institute and Festival in New York, and the International Music Seminar in Vienna. Concert appearances in recent years have brought him to Chicago, Minneapolis, Tokyo, Beijing, St. Petersburg (Russia), Tel Aviv, Jerusalem, New York and Boston, and other cities. 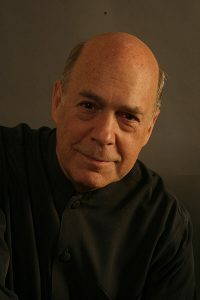 Rosenbaum presently serves on the faculty of the Mannes College of Music in New York and the New England Conservatory in Boston, where he formerly chaired the piano and chamber music departments. He has been Visiting Professor of Piano at the Eastman School of Music, a guest teacher at Juilliard, and presents lectures, workshops, and master classes for teachers’ groups and schools both in the U. S. and abroad, including London’s Royal Academy of Music, Royal College of Music, and Guildhall School, the conservatories of St. Petersburg and Moscow, Beijing Central Conservatory, the Toho School in Tokyo and other institutions such as the Menuhin School, and the Jerusalem Music Center. Rosenbaum was Director and President of the Longy School of Music from 1985-2001. His highly praised recording of Schubert, which Classical disCDigest described as “a powerful and poignant record of human experience,” is on Bridge Records. The release of the last three Beethoven sonatas on the same label was named by American Record Guide critic Alan Becker as one of the top ten classical recordings of 2005 and Susan Kagan of Fanfare wrote of that disc: “Victor Rosenbaum’s rewarding interpretation can sit proudly among the best.” Two recent recordings on the Fleur de Sonlabel feature music of Schubert and Mozart. The sensational Sachiko Kato plays Debussy and Ravel for Ogunquit Performing Arts on Friday, Oct 12th at 7:30 pm at the Dunaway Center, 23 School Street, Ogunquit. SACHIKO KATO has won numerous competitions such as the Frinna Awerbuch International Piano Competition and the Pro-Piano Recital Series Auditions, both held in New York. After her debut at Carnegie Weill Hall in 1995, she has performed extensively throughout the world. She has been heard at the Lincoln Center Alice Tully Hall and Performing Arts Library, Steinway Hall in New York, the Los Angeles County Museum, and the Arcady Music Festival in Maine. She has toured Canada and Brazil under the auspice of Japan Foundation, and performed an all-Japanese composers program in Algeria. 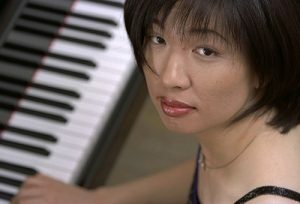 Ms. Kato has previously recorded the Goldberg Variations on the Centaur Records label in 2012. Jerry Dubins of Fanfare claims “Sachiko Kato’s performance is truly special” and “… everyone who embraces Bach’s Goldberg Variations on piano, this deserves to be heard and is urgently recommended.” Her playing has been broadcasted by New York’s public radio station WNYC on its “New Sounds” program, as well as New York’s classical station WQXR, KMZT (Los Angeles) and WKCR FM (Columbia University station, New York). Sachiko’s performances have received critical acclaim: “the velvet smoothness and silken beauty … an extremely imaginative player … she plays with such a sense of effortlessness and ease” (Fanfare Jan.-Feb. 2013); “a lovely, delicate touch … interpretive clarity … impressively crisp fingerwork and consistent energy.” (New York Concert Review). Ms. Kato was also featured in the Juilliard centenary publication, “Dance Drama Music: 100 Years of the Juilliard School,” as one of the 100 outstanding alumni. Sachiko Kato was born in Osaka, Japan and immigrated to Los Angles with her family at the age of 14. She graduated from California State University Northridge and then, on scholarship, completed her Master’s Degree at the Juilliard School. She did further studies in Boston with the famed pianist/teacher, Russell Sherman. Ms. Kato is based in New York City. These are two thrilling concerts by two brilliant artists! Don’t miss Victor Rosenbaum on Friday, Oct 5th at 7:30 pm, and Sachik Kato on Friday, Oct 12th at 7:30 pm. Meet and greet the artists at champagne receptions following the performances. And don’t forget the Student Recital on Sunday, Oct 7th at 3:00 pm, to hear the piano stars of the future! All concerts are at the Dunaway Center, 23 School Street, Ogunquit. Program details may be found at Victor Rosenbaum and Sachiko Kato event pages. TICKETS are $18 in advance, $20 at the door, $30 Series, and $5 student, and may be purchased at the Dunaway Center, Ogunquit Camera Shop, Ogunquit Welcome Center, and Ogunquit Playhouse Downtown Box Office until 24 hours prior to the concerts. “The African Queen” is the first film in Ogunquit Performing Arts’ 18th Annual Classic Film Series Sunday, November 4, 2018 at 2 pm at the Dunaway Center Admission, Parking and Popcorn are free!